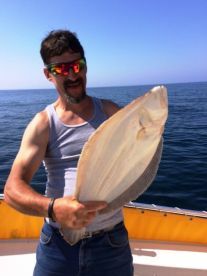 Are you looking for some relaxing fishing in the calm bays of New Jersey? Maybe some offshore reel-screaming action? Both of those, and anything in between can be found on trips with Babu Sport Fishing Charters. Join Captain John Wilkinson aboard his 26’ Twin Vee Catamaran. Her hull design allows for great mobility for anglers on board, so you can bring 5 of your fishing buddies with you. She’s powered by twin Mercury Verado engines with 300 HP each – you can cruise at a max speed of 40 knots. Serious fishing requires fishing equipment and you’re in luck! She’s equipped with both outriggers and downriggers, extending your reach out and below when trolling. 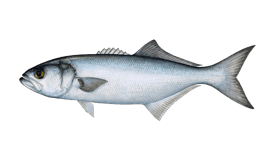 A live bait well allows your bait fish to stay spry and appetizing long after it’s been plucked from the water. A first mate is also on board to assist you with whatever you need and help make your trip a memorable one. Your safety is Capt. John’s primary concern and the boat is equipped to all USCG standards. Advanced fish finding and navigation equipment is on board, so you don’t waste time looking for fish and spend more time catching it. You can pick and choose from a variety of gorgeous fish species to go after. 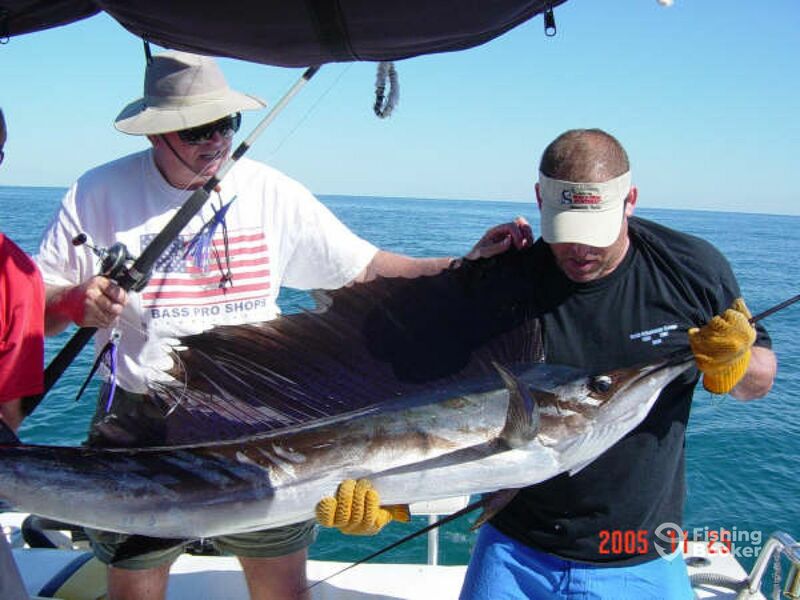 Whatever your taste is, Babu Sport Fishing Charters has a trip for you. 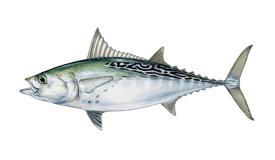 Whether it’s fishing for Flounder in the Bay or going on an epic offshore adventure for Bluefin Tuna, you’re in good hands. 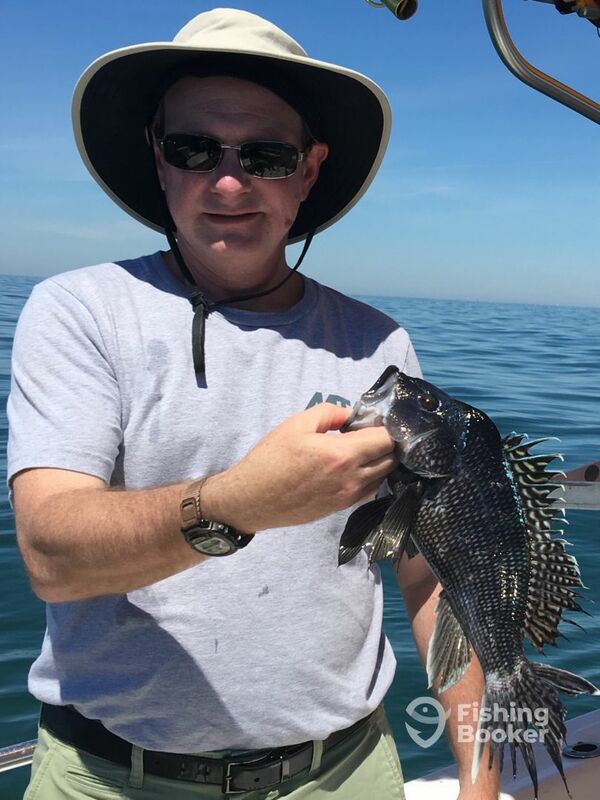 Other notable species you can go after are a variety of Sharks, Black Seabass, Black Drum, Mahi Mahi, Little Tunny, and whatever else takes the bite. 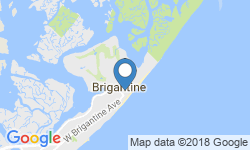 If you’re a Bass fanatic, this is the place to go for that personal best – there are numerous Striper fishing trips to choose from. You will be provided with all required equipment on this trip, for up to 4 anglers. Contact the captain in advance if you’re booking a trip for a larger party. 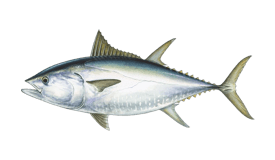 This 10-hour trip allows anglers to fully experience the thrill of offshore fishing in the ocean. 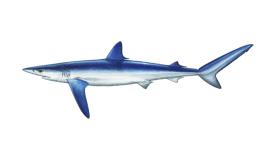 You will primarily go after various Sharks or Bluefin Tuna on this trip. The captain will supply you with all the needed fishing equipment. 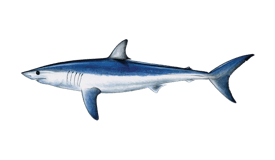 This trip will usually target the gorgeous Sharks or prestigious Bluefin Tuna off the coast of New Jersey. This is the right trip for you if you're looking to get that trophy catch to write home about. 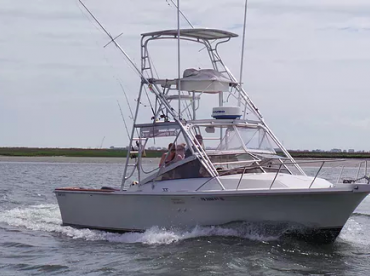 Spend the entire day hitting the productive inshore waters off the coast of New Jersey. You'll go after Black Drum, Black Seabass, Mahi Mahi, and a variety of other species on this trip. The charter will also supply you with all the necessary fishing gear. Head out into the blue waters and fish for a variety of gorgeous fish that live there. Sharks, Mahi Mahi, Little Tunny, and other species are on the catch list for this trip. The charter will supply you with the necessary gear. 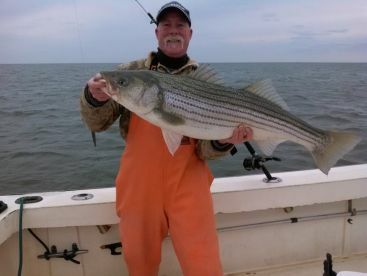 Spend 6 hours going after the famous Striped Bass off the coast of New Jersey. The captain will make sure you have all the necessary equipment for this trip. 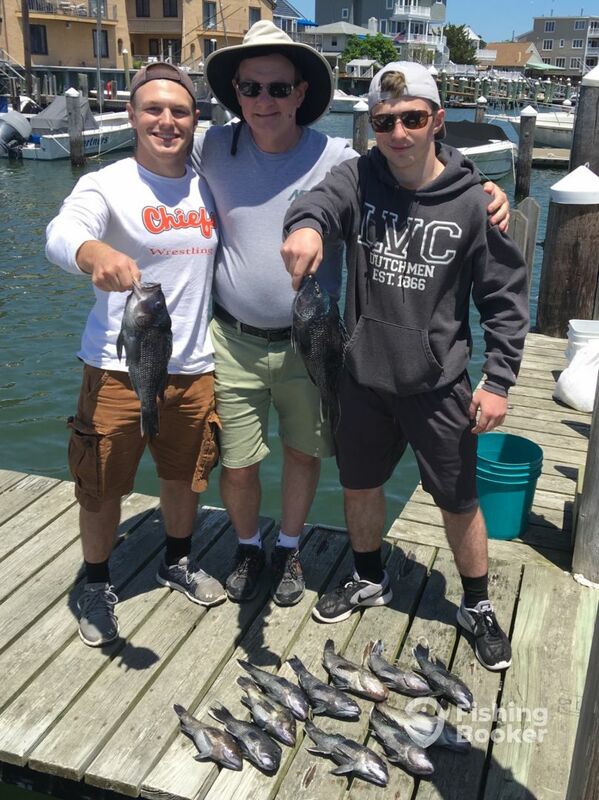 Spend 6 hours fishing the gorgeous Bay off the coast of New Jersey. 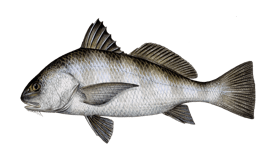 You will go after Black Drum, Bluefish, Flounder, and whatever else you run into. You will be provided with the required fishing gear. Head out into the blue waters and get some serious fishing underway! This trip will mainly target Mahi Mahi, Sharks, Little Tunny, and whatever else takes the bait. The captain will supply you with the necessary equipment. 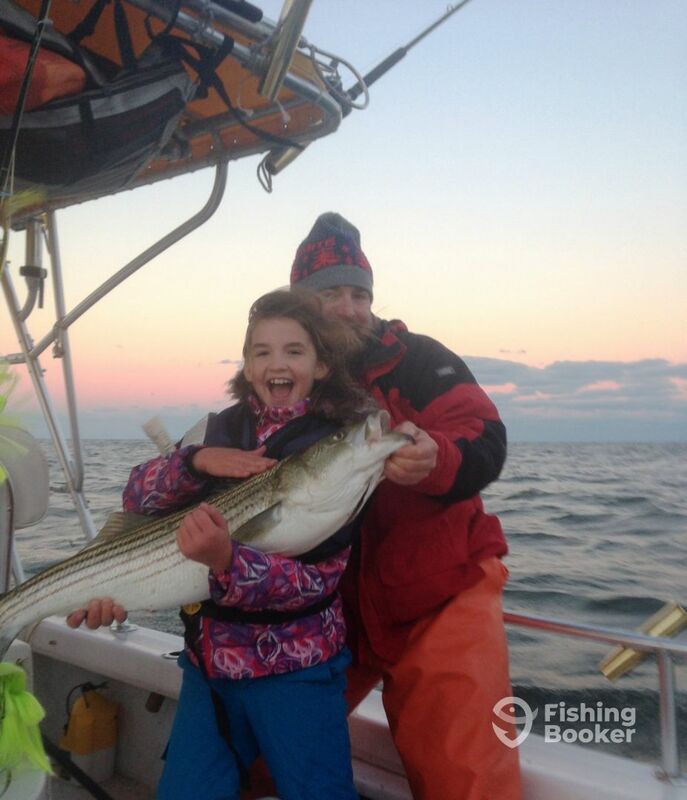 Start the day off just right, with some excellent Striped Bass fishing! You will be provided with all the necessary equipment for this trip by the charter. 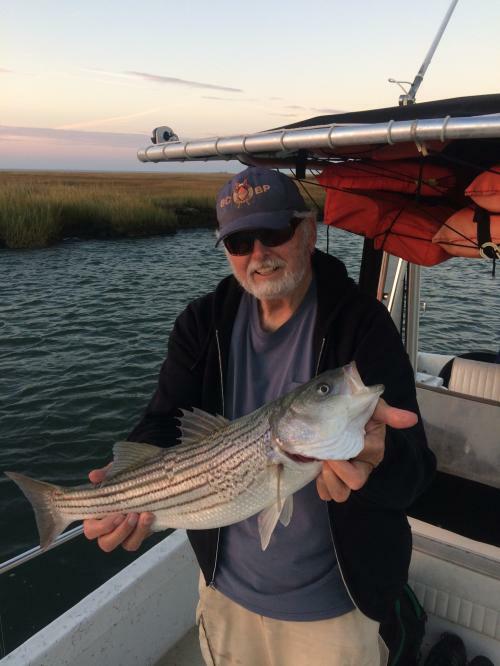 This trip is all about the famous New Jersey Striped Bass. You'll head out in the afternoon and target Stripers. All required equipment is provided by the captain. Head out into the bountiful bay and get some excellent fishing underway, first thing in the morning. 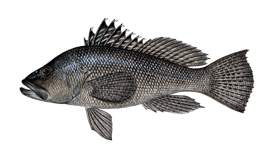 You'll go after Black Seabass, Black Drum, Flounder, Bluefish, and others. This half day trip is perfect for you to get some fishing done before enjoying the rest of your day off. You'll fish the bountiful New Jersey Bay for Bluefish, Black Drum, Flounder, Black Seabass, and whatever else takes the bait. Twin Vee (Catamaran) originally built in 2004. Powered by 2 300HP Mercury Verado engines, with a maximum cruising speed of 40 knots. When the captain confirms your trip, FishingBooker charges your credit card a 15% deposit to guarantee your reservation. When paying the remaining balance with a credit card, there is a 4% fee. 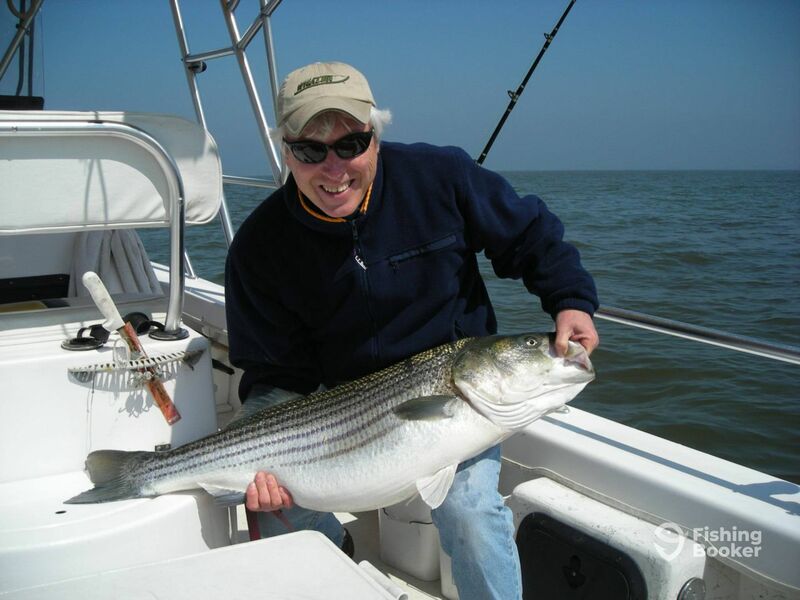 "I started as a captain in 1972 and I love having novice customers catch their first big fish. 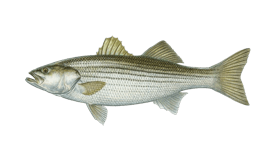 My favorite fish is Striped Bass." Captain John Wilkinson has a 100 ton United States Coast Guard master's license. He's been fishing the local waters since '68 – he can put you on the hottest bite around! 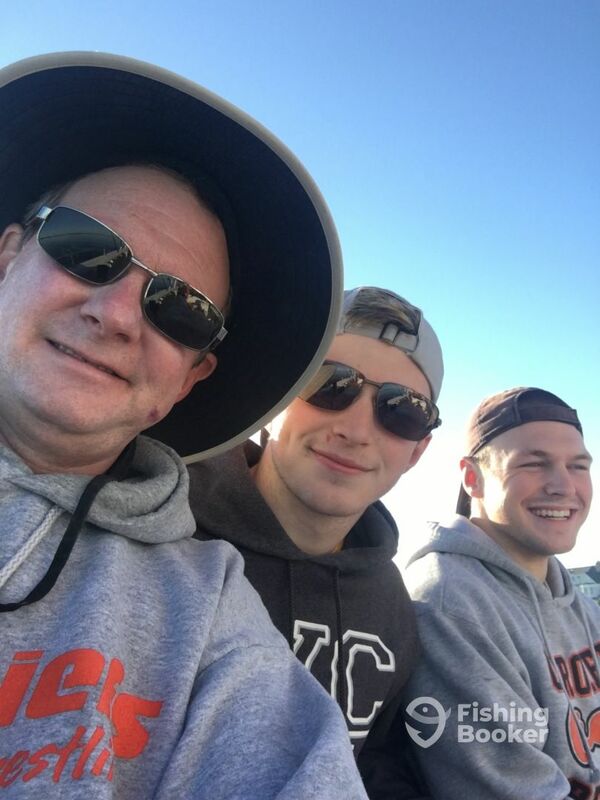 We had the best fishing experience of our lives today with Captain John and his first mate James. 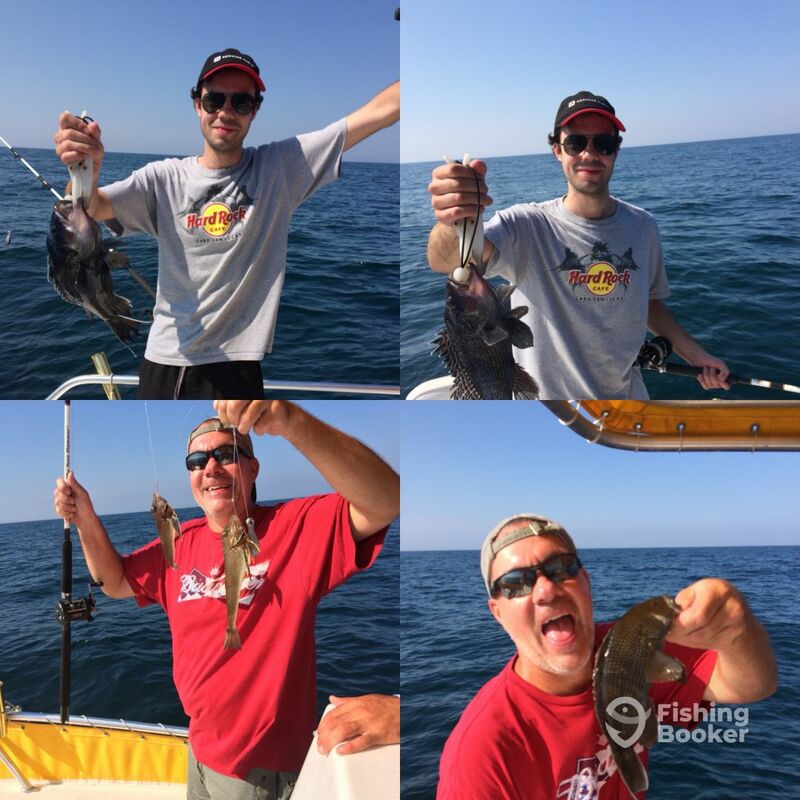 Together we caught over 50 Sea Bass with 13 keepers in the ocean a couple miles off the Atlantic City coast. We will definitely be back with Babu Sport Fishing Charters. 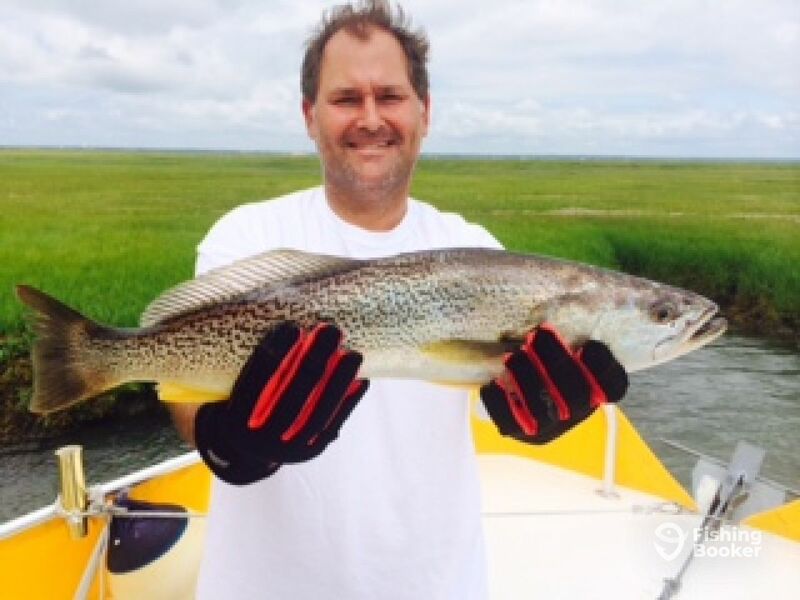 Patrick M. recommends Babu Sport Fishing Charters, Inc.
Capt. John and Anthony were great crew. 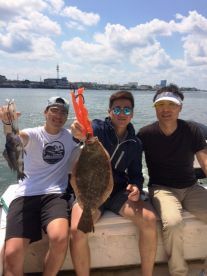 We enjoyed the trip with them and the took very good care of us.I will come again to catch big fishes again. Capt. John and Anthony were great crew. We enjoyed the trip with them and the took very good care of us.I will come again to catch big fishes again. 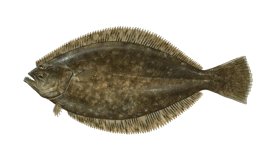 Jusang L. recommends Babu Sport Fishing Charters, Inc.
Phil R. recommends Babu Sport Fishing Charters, Inc.
Rick B. recommends Babu Sport Fishing Charters, Inc.
John K. recommends Babu Sport Fishing Charters, Inc.